Assignment: Detailed engineering designs and assistance with contractor selection process. Partial engineering mission for fire protection of Parc C at the SFDM oil depot in La-Chapelle-Launay (western France). Audit of outdoor installations (underground piping systems and above-ground tanks). Architecture, process flow diagrams and electricity and automation drawings. Estimate of the costs of the various solutions planned. 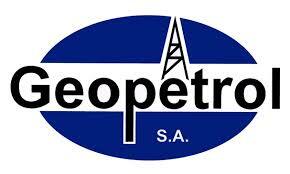 Technical assistance services in the scope of the fire protection project at the Oiltanking Mediaco petroleum depot in Martigues (southern France). Preliminary dimensioning calculations for the fire protection installations. P&ID of the fire protection system. Assignment: Technical assistance and particular technical specifications. Assistance with the design of the video surveillance and access control system at the distinct sites of Poincaré, Base Industrielle, K4 Ouest and Djéno. Writing of detailed technical specifications of the hardware. Conceptual design of the firefighting system at the Geopetrol SA site in Pécorade (SW France). Process flow diagrams and P&ID. Calculation of water and foam concentrate requirements.